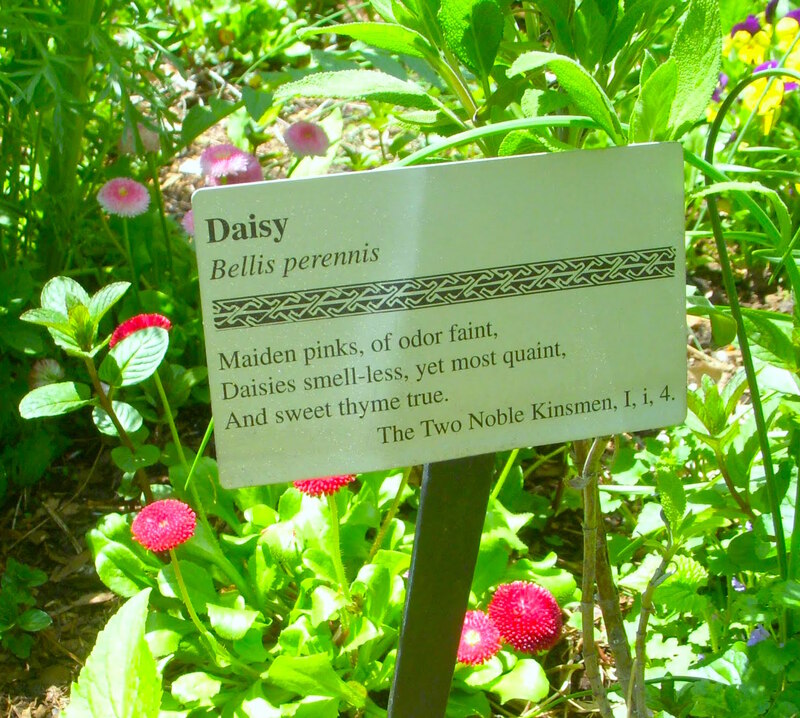 Shakespeare Garden, a speciality garden located within Brooklyn Botanic Garden in an English cottage garden informal layout, is the perfect place to spend a summer afternoon reminiscing the quirky from Shakespeare’s plays and sonnets. The Garden is a gift by Henry Clay Folger, founder of Folger Shakespeare Library, Washington D.C.
Blooms of all varieties…….I missed clicking the Rose. The other flowers compensated because as Shakespeare rightly said…. ‘ What’s in a name? That which we call a rose by any other name would smell as sweet’. from Romeo and Juliet. My favourite was ‘Parsley’ from ;TAMING OF THE SHREW. I like how the snippets of text are included!